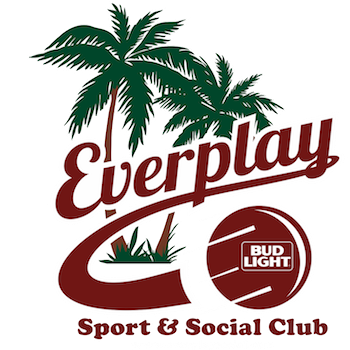 Hailing from Philly, Don along with Tyler Pavlis helped create Everplay Sport & Social Club and became owners late in 2015. Don is a lover of all things sports and is a 76ers and Eagles Fan. His greatest love is his Family, Kate and Forrest. A lifelong resident of the great City of Columbia, Jay joined Everplay Sport & Social Club in 2015. Also an avid sports fan (South Carolina Gamecocks and Washington Redskins), Jay practically loves to play everything (Basketball, Softball, Dodgeball, Flag Football, Volleyball, Kickball, you get the point). In December 2015, Jay was promoted to Co-General Manager and Partner and he hasn't looked back since! Like Don, you can find Jay at several Everplay Events. Tyler hails from Knoxville, TN and is an unapologetic Vols and Knoxville Ice Bear fan. He, along with Don, helped bring Everplay to Columbia in 2015. In August 2018, after being the "boss" he transitioned to a smaller role with Everplay to focus on his real champions, his kids. Today, he still handles Everplay's business, sponsorship, advertising, and much of the communication efforts. Born and raised in Virginia, Sara moved to Columbia several years ago and began playing kickball for Everplay in the Fall of 2016. Although a lover of all sports, you can normally catch her out on the kickball field during the week and rooting for the Carolina Panthers on the weekends. Haley is one of our awesome Field Managers and occasional referees. She joined Everplay as a Player in Summer 2017. Born and Raised in South Carolina, Haley is a huge Gamecocks and Braves fan. Also a graduate from USC, she carries a Chemistry and Geology Degree. She enjoys pretty much any sport and usually plays Flag Football under the Lights on Wednesday with Everplay. Originally from Johnsonville, SC, Tyler graduated from USC in 2014. After moving back to Columbia, he began playing flag football with Everplay in Spring 2018. When he’s not at a kickball field, you can find him watching just about any sport and cheering on the Gamecocks, Panthers, and Braves.